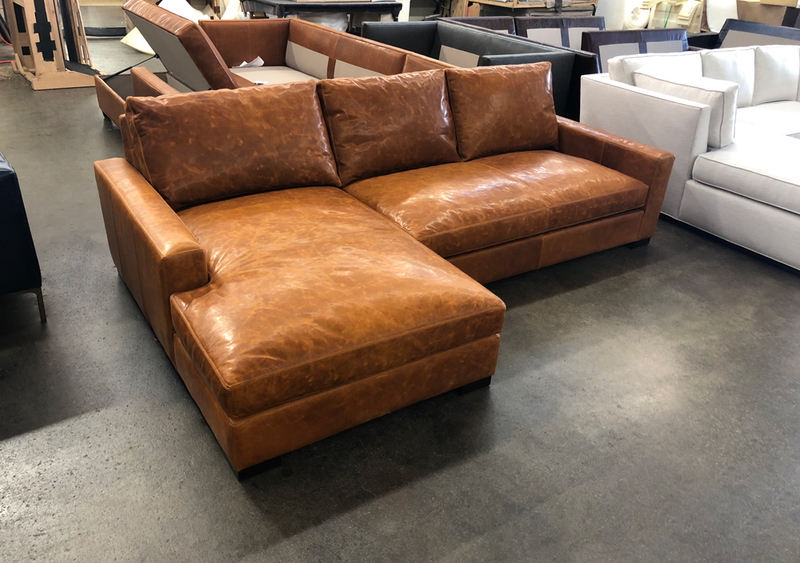 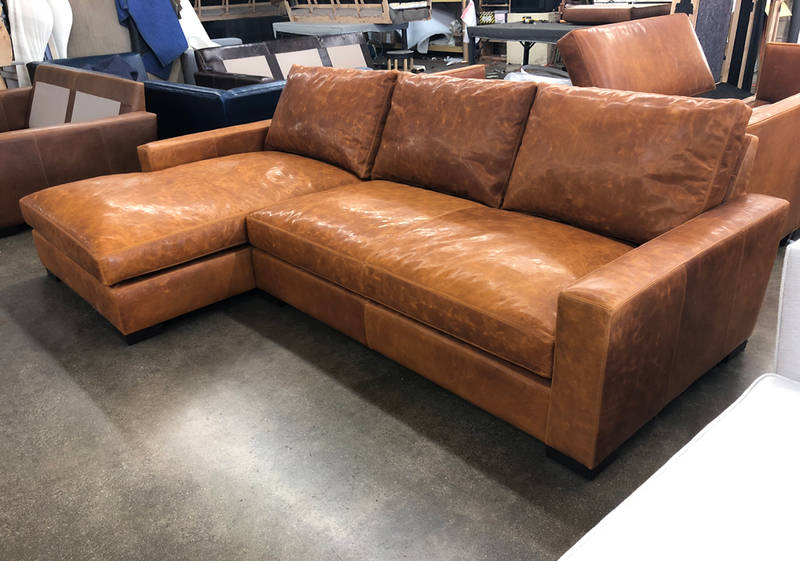 This Braxton Sofa Chaise Sectional shipped out to Washington State and looks great in our Italian Domaine Bronze leather option. 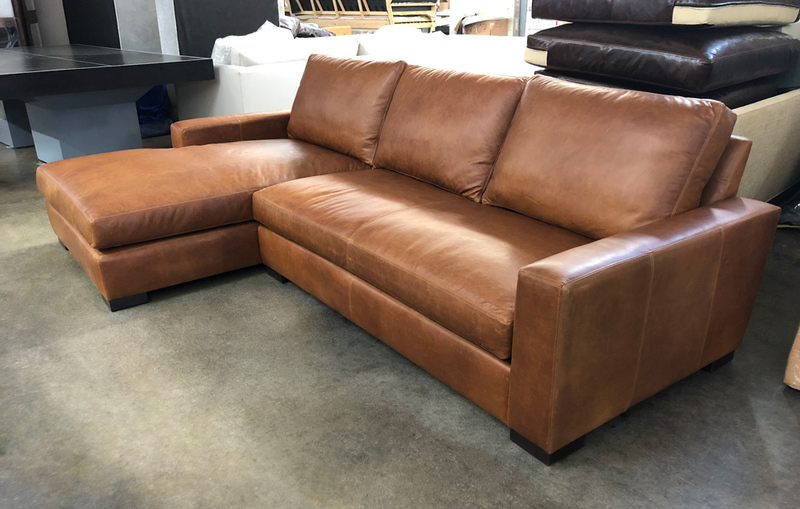 This leather has all of the natural characteristics and color variation you would expect with full grain leather and a dramatic vibrant depth to its color, ranging from brassy tones to deep bronze hues. 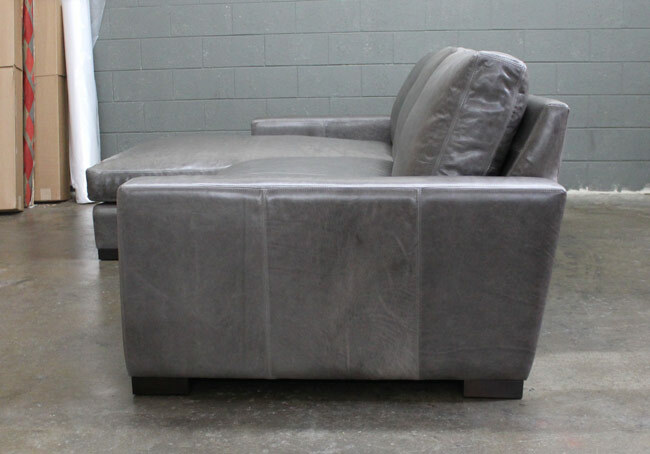 Made in Northern Italy, at the tannery where our popular Italian Brompton and Italian Berkshire leathers are produced. 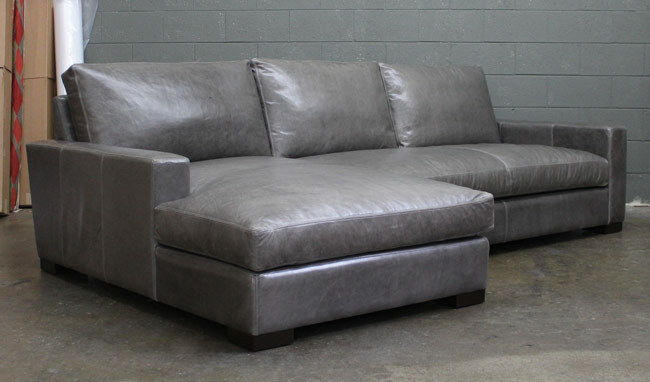 As this thick leather breaks in, the true feather and down comfort experience will continue to emerge. 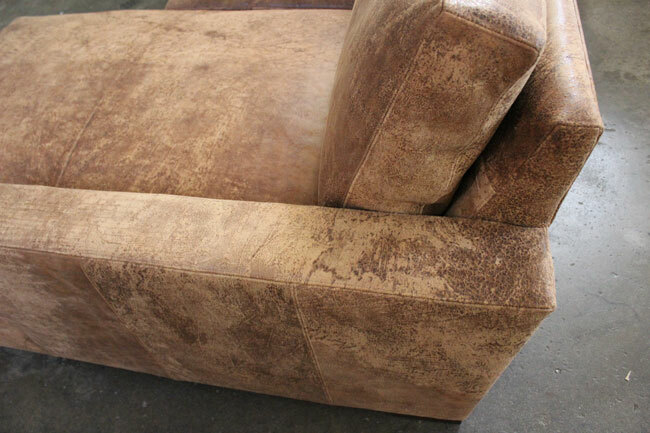 Condition this leather once or twice per year and it will potentially last for decades to come! 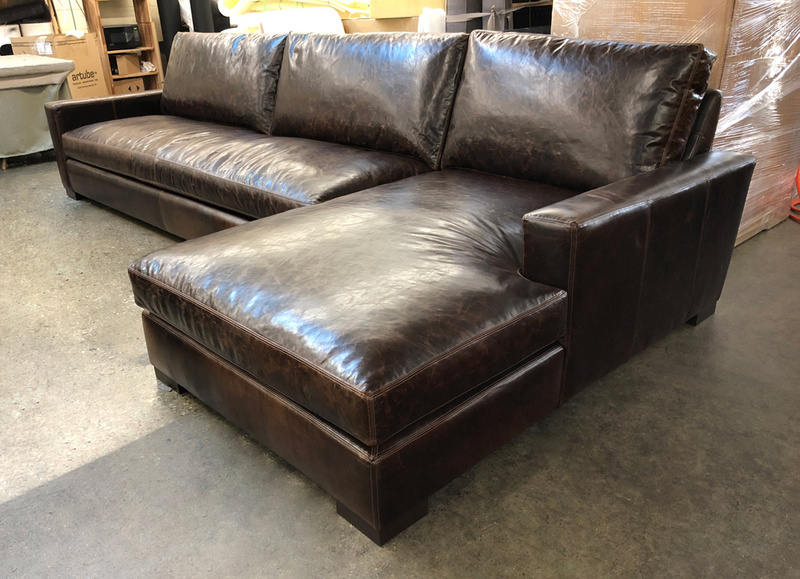 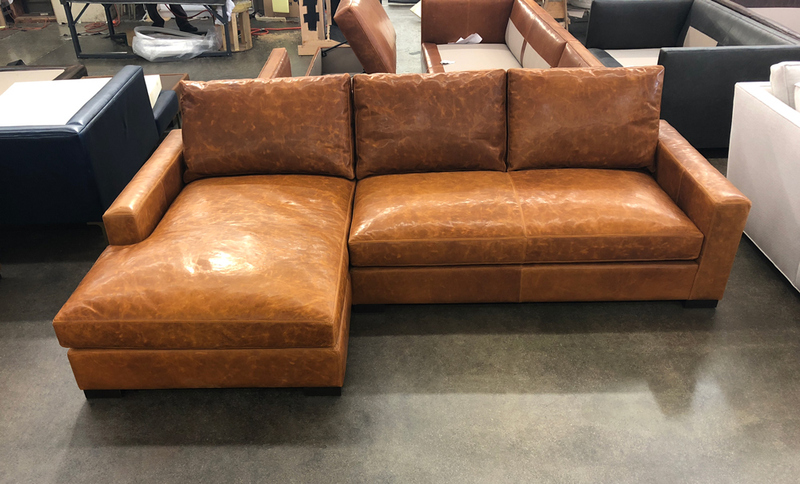 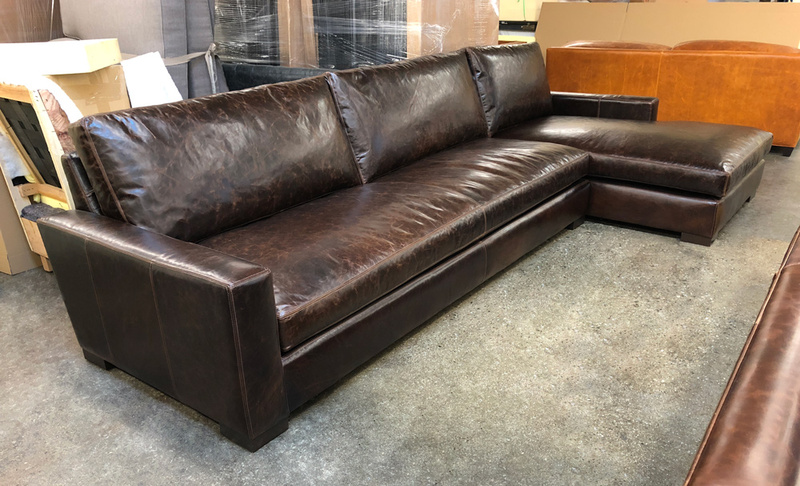 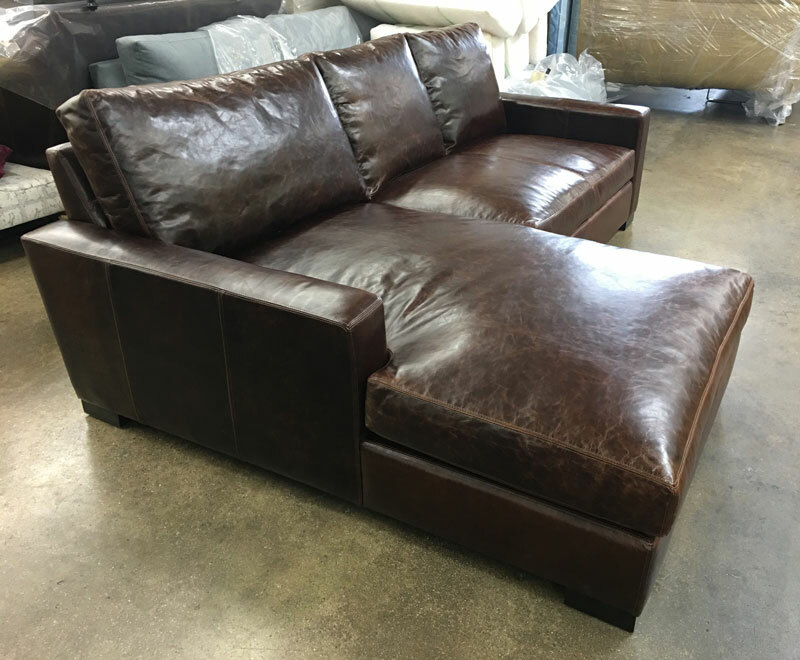 This entry was posted in Braxton, Custom Leather Order Feed and tagged 46" Deep, aniline dyed, braxton collection, braxton sofa chaise sectional, Domaine Bronze, full aniline, full grain leather, Italian Domaine Bronze, Italian Domaine Leather, No Ears on July 10, 2018 by LeatherGroups. 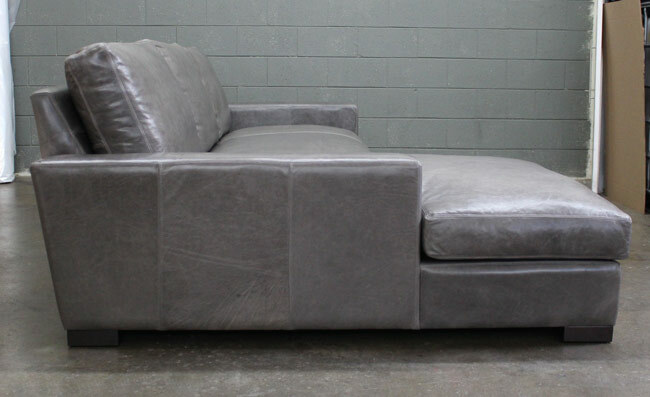 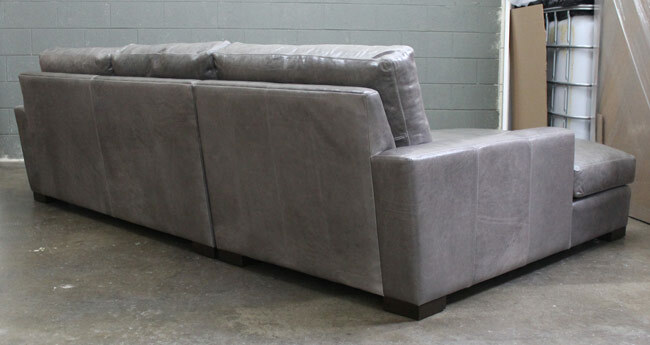 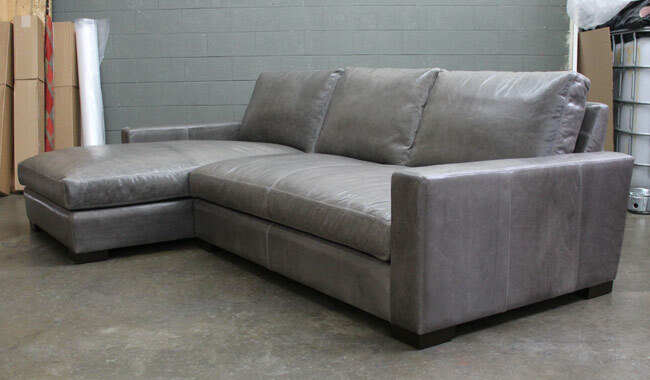 This Braxton Sofa Chaise Sectional was just delivered to a client in Lotus, California. 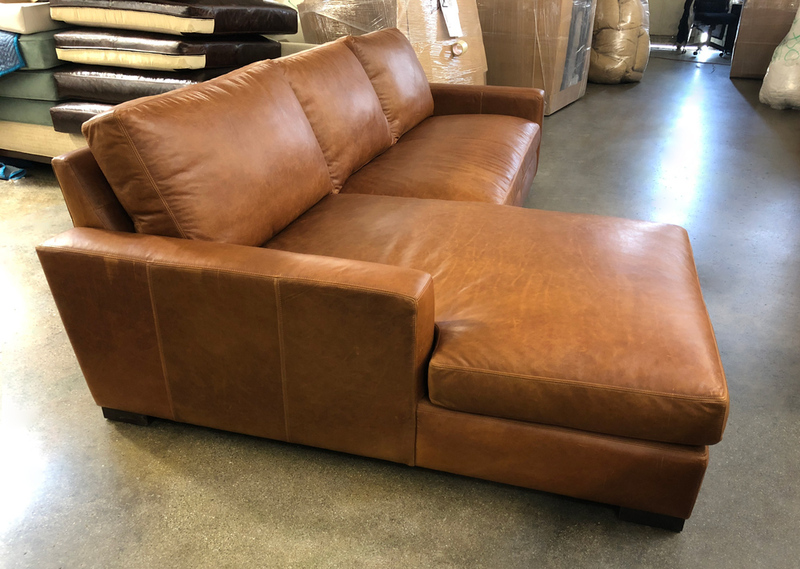 The default configuration for this model is with a bench seat on the sofa portion, but this customer preferred two separate cushions. 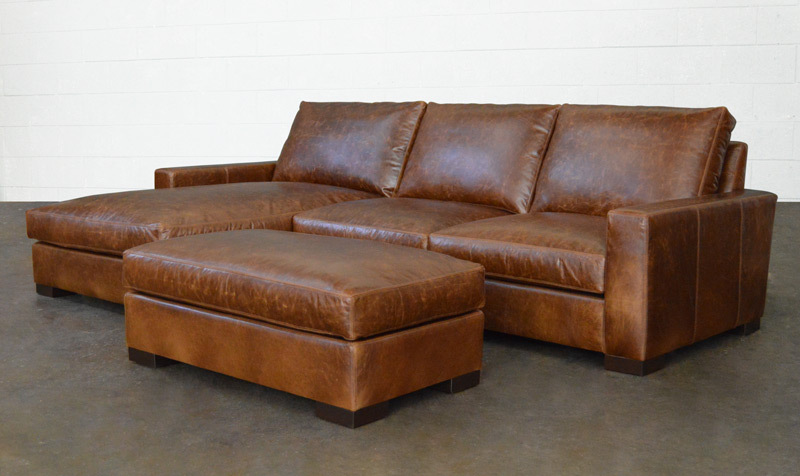 This Braxton was made with a 46″ depth on the sofa portion, and wrapped in thick, Italian Brentwood Tan leather. 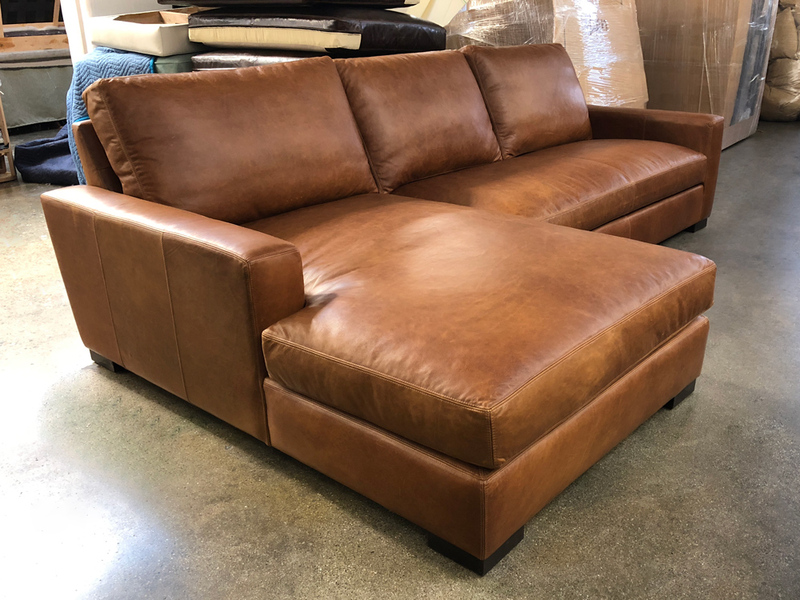 As with all of our Braxtons, this one has cozy yet supportive Feather and Down topped seat cushions, with full Feather and Down back cushions, all supported by Heavy Duty Suspension and a Kiln-dried Solid Hardwood Frame. 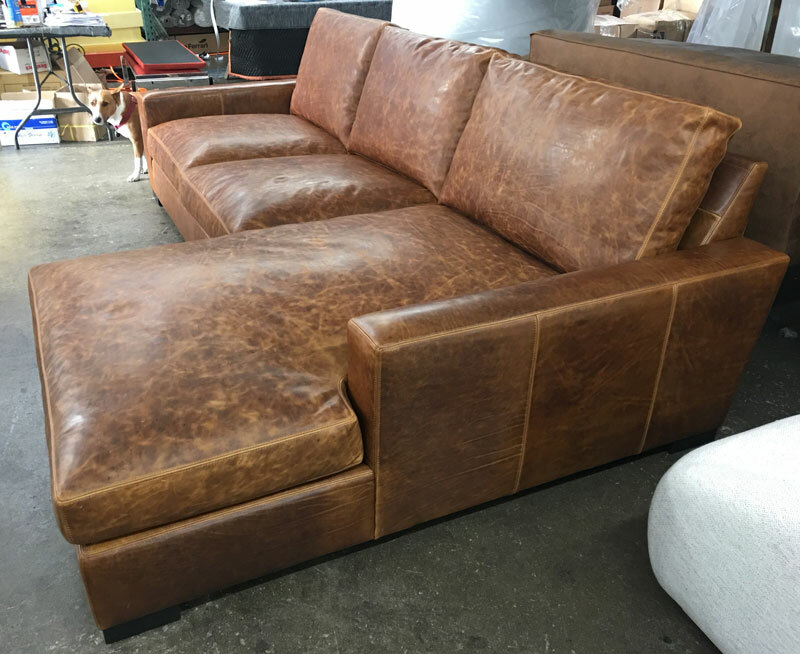 This entry was posted in Braxton, Custom Leather Order Feed and tagged 46" Deep, braxton collection, braxton sectional, braxton sofa chaise sectional, Brentwood Tan, Italian Brentwood Leather, Italian Brentwood Tan Leather, maxwell leather sectional, maxwell sofa chaise sectional, No Ears on December 28, 2016 by LeatherGroups. 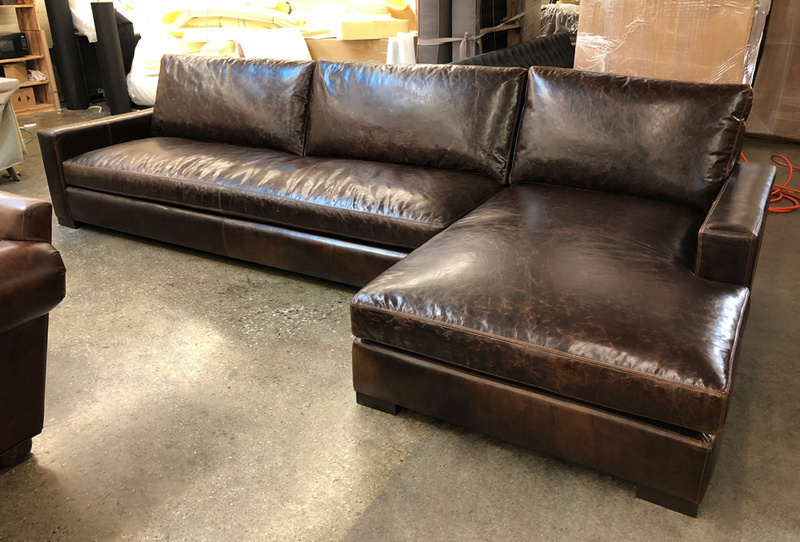 This client needed our Braxton Sofa Chaise Sectional to be just a bit smaller, so we reduced the length of the sofa portion by 12″, which reduced the overall length from 113″L to 101″L. 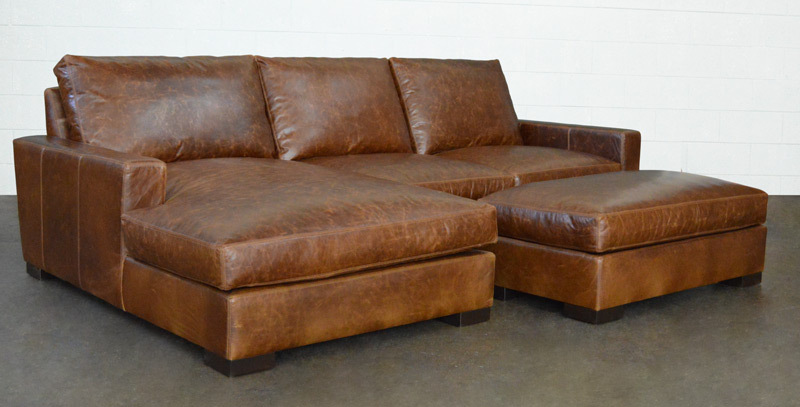 They selected our true 8-way hand-tied suspension system, and as always, Italian Brompton Cocoa leather looks amazing! 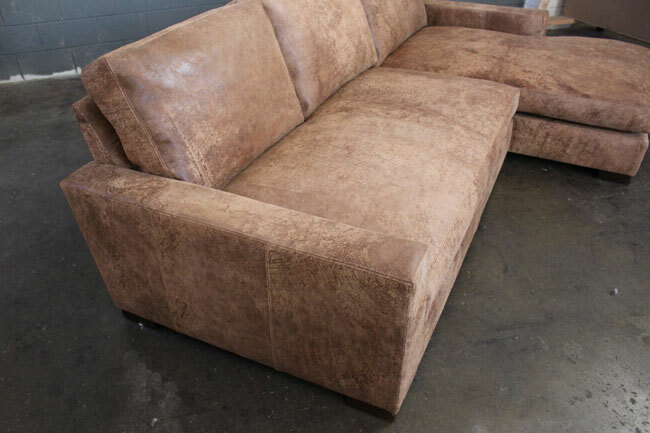 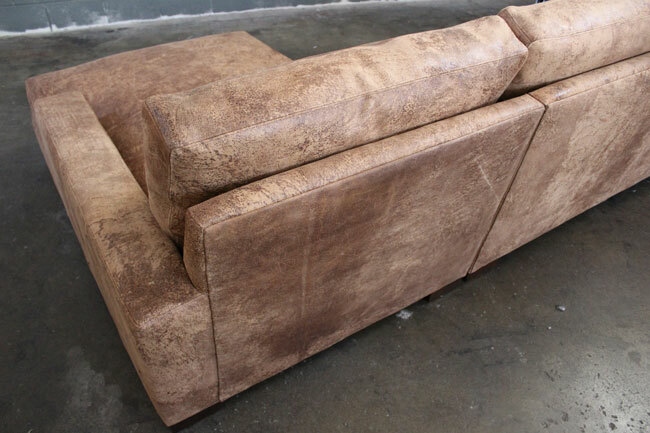 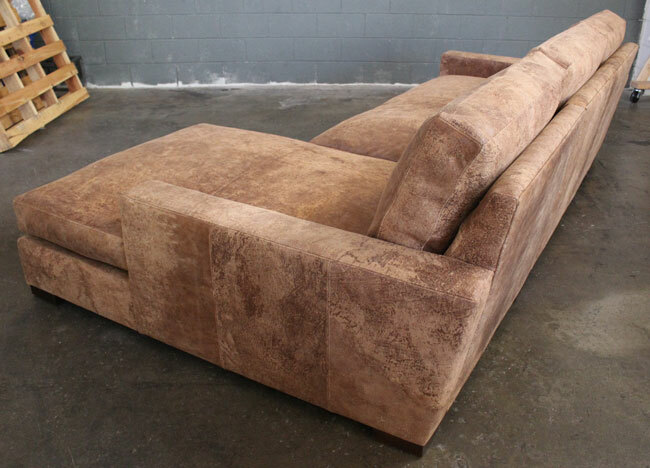 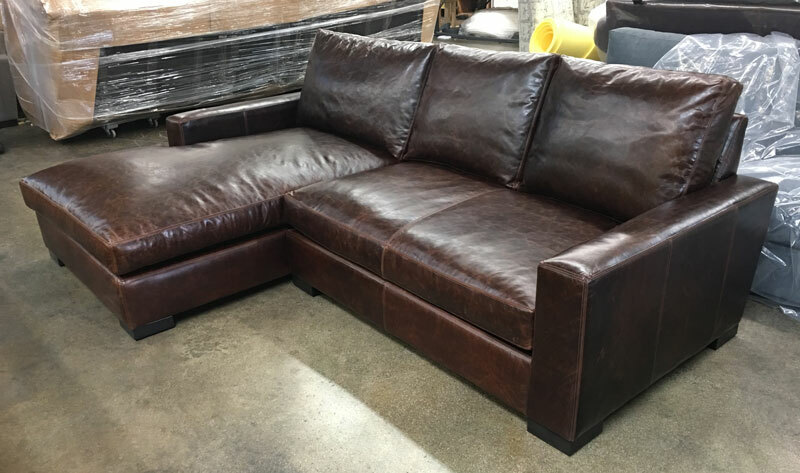 This entry was posted in Braxton, Custom Leather Order Feed and tagged 43" Deep, braxton collection, braxton sectional, braxton sofa chaise sectional, Brompton Cocoa, custom length, Italian Brompton, Italian Brompton Cocoa, maxwell leather collection, maxwell leather sectional, maxwell leather sofa, maxwell sofa chaise sectional on December 24, 2016 by LeatherGroups.